According to Greek-language site iPhonehellas, a "reliable source" inside the Chinese supply chain has said given the March 22 date as the launch of preorders for the trio of products. 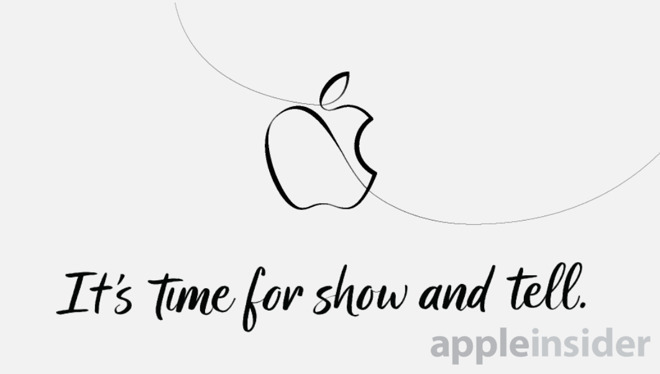 Additionally, in a post to Slashleaks that has since been deleted, the site has also claimed that the Apple event will take place at some point between March 11 and March 20. The site does not have a well-established track record of breaking new information about hardware releases, and the window for the event given by the site is very large. The date is roughly in-line with Apple's spring event. AppleInsider has been told that Apple retail employees have not yet been given lock-out periods where time off cannot be taken, however. Apple's 2018 iPad event was hosted in Chicago on March 27, and focused on the sixth-generation iPad. The 2017 event, also iPad-centric, was held on March 21. Since the initial reveal, Apple seems to have wiped it from existence online, and didn't say a thing about it —and Apple has let four event pass by without a mention. A report from the Chinese supply chain in January suggests that the device wasn't cancelled outright, however. The "iPad mini 5" has been the subject of much recent speculation. According to recent reports, the fifth-generation iPad mini will follow the same design as the previous model. It will apparently not have much in the way of design changes, and continue to have features like Touch ID instead of shifting to Face ID, the Lightning connector instead of USB-C, and will retain the 3.5mm headphone jack that has disappeared from other Apple products. Of the changes anticipated in the model, the fourth-generation's A8 chip is tipped to be replaced by either an A10 Fusion or an A10X Fusion processor, giving it a considerable performance boost. The back microphone position is also thought to shift to the "center of the upper back," similar to the 6th-generation iPad. Apple's forthcoming update to the AirPods earphones is expected to see significant internal changes and to be released later this year. Reportedly, the "AirPods 2" will look identical to the current version with a new texture for improved grip on the earbuds, and the the possibility of the unit being available in black. New health monitoring features are expected. The addition follows previous reports of Apple's hiring for people experienced in this field and from the many studies into the benefits of in-ear health devices.